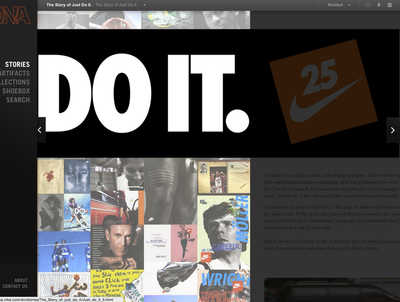 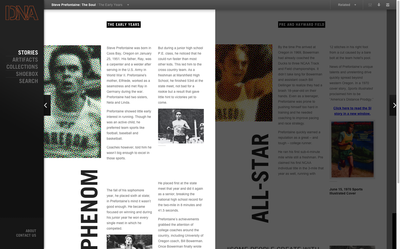 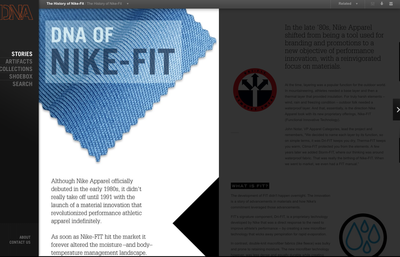 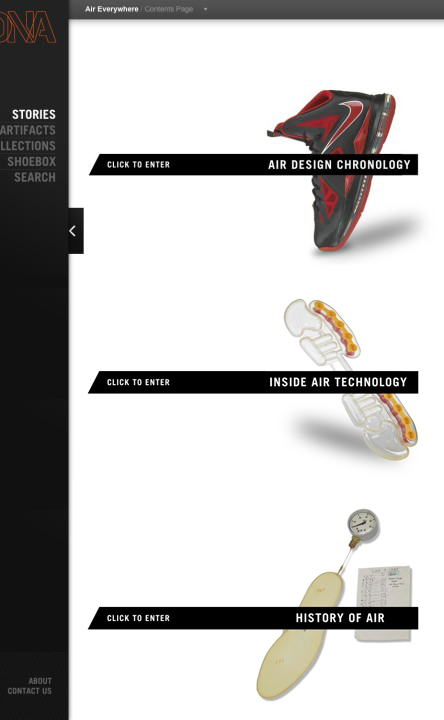 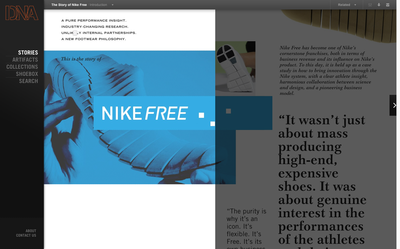 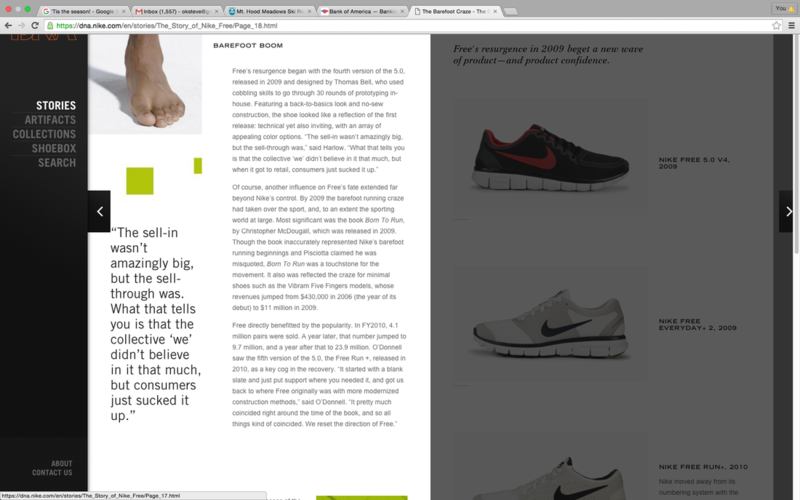 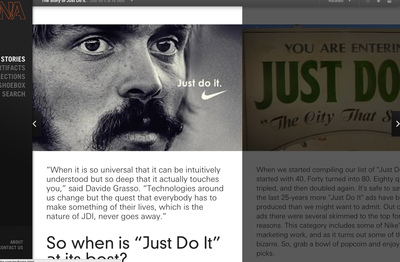 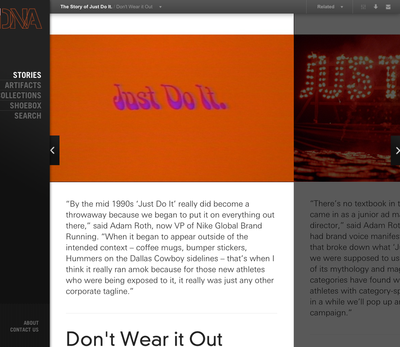 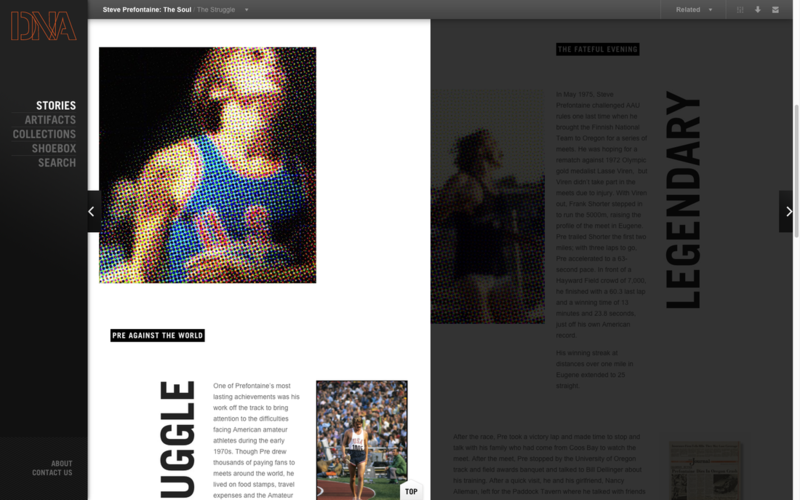 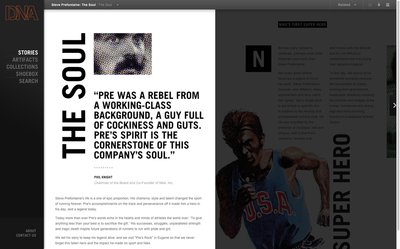 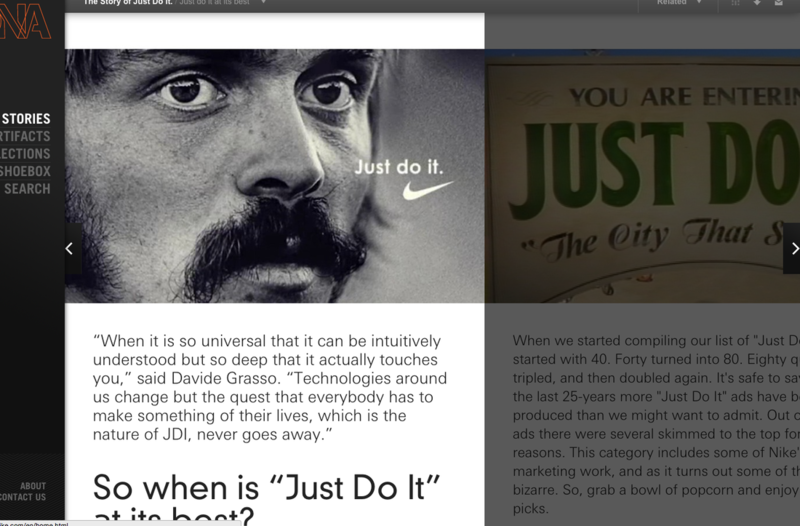 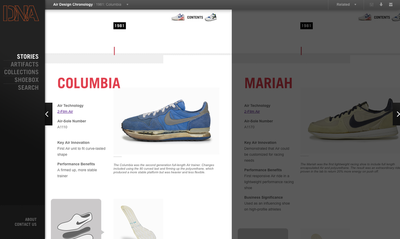 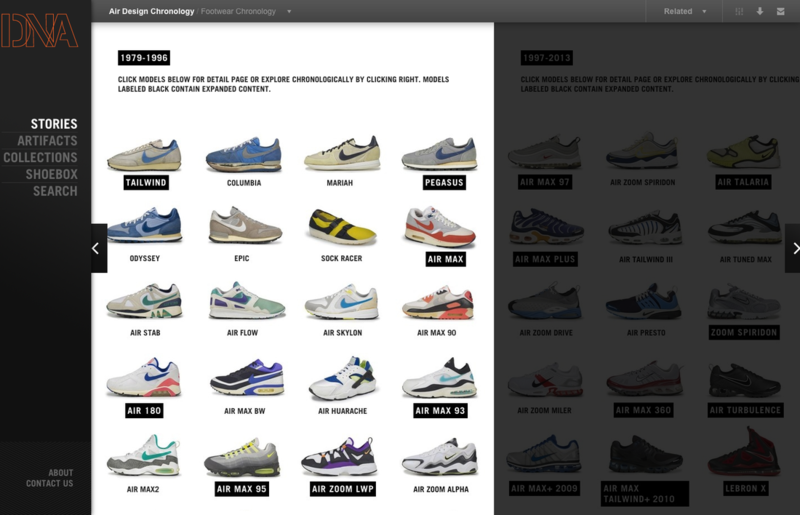 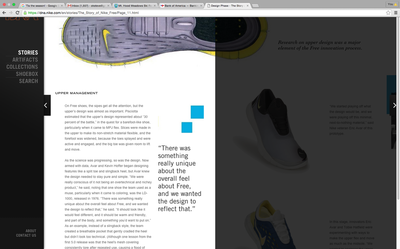 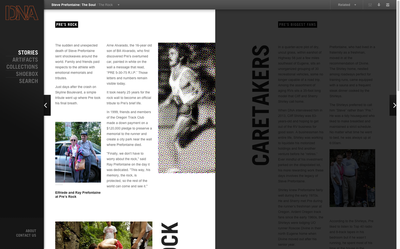 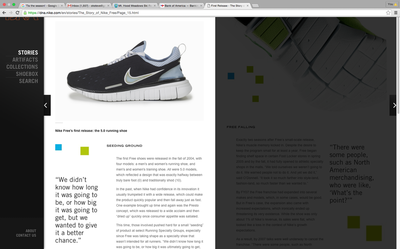 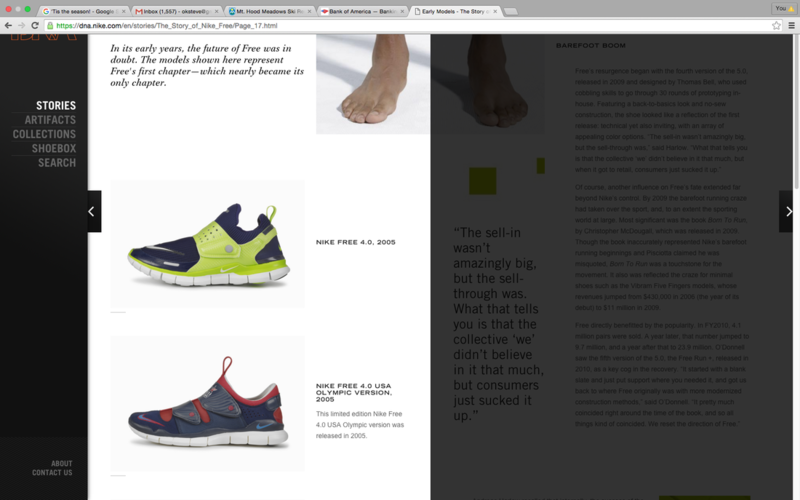 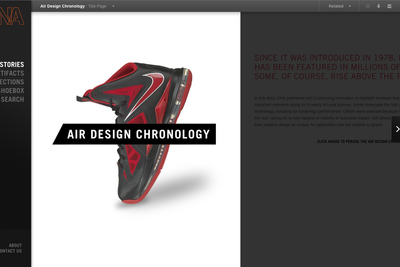 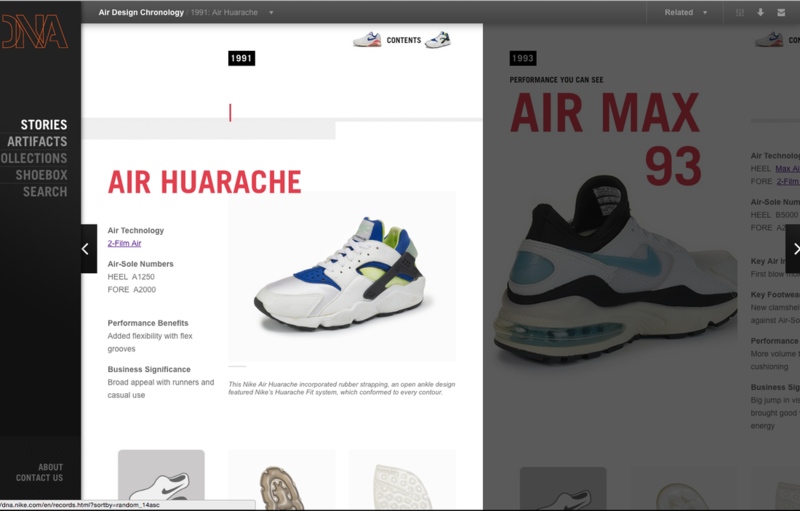 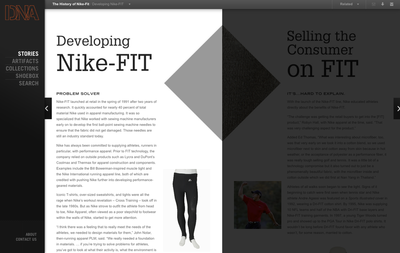 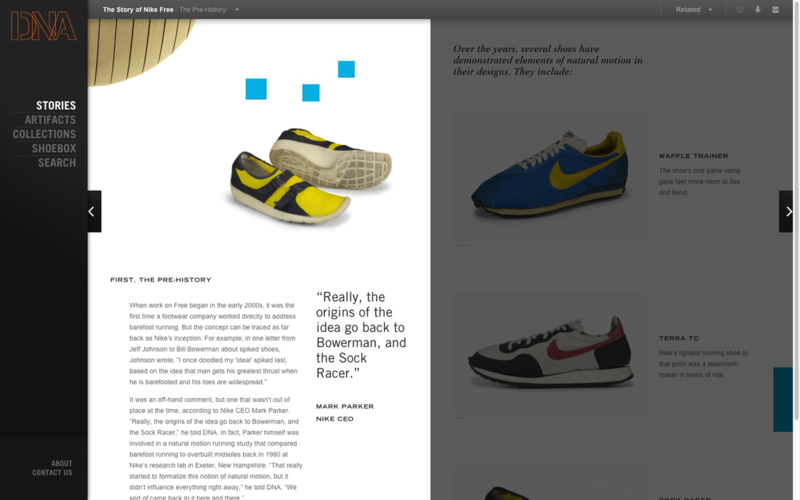 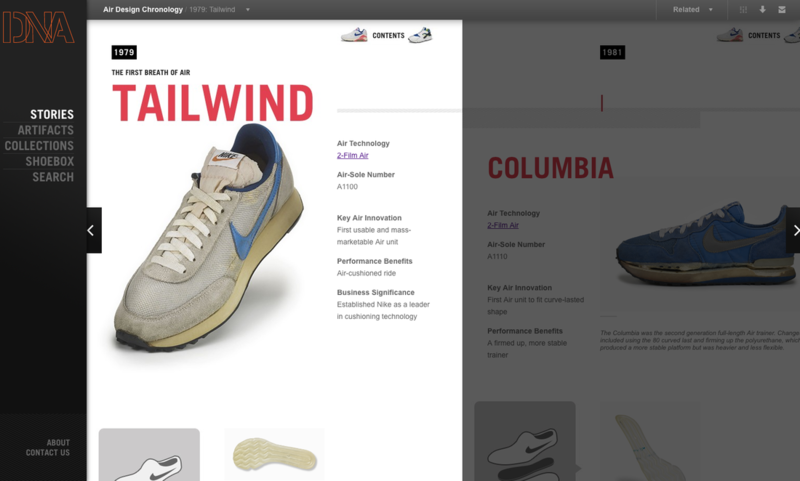 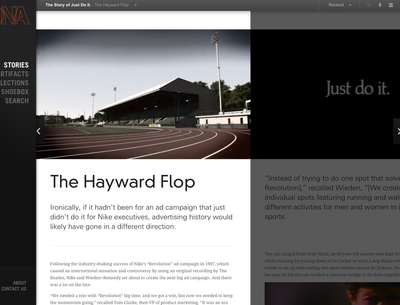 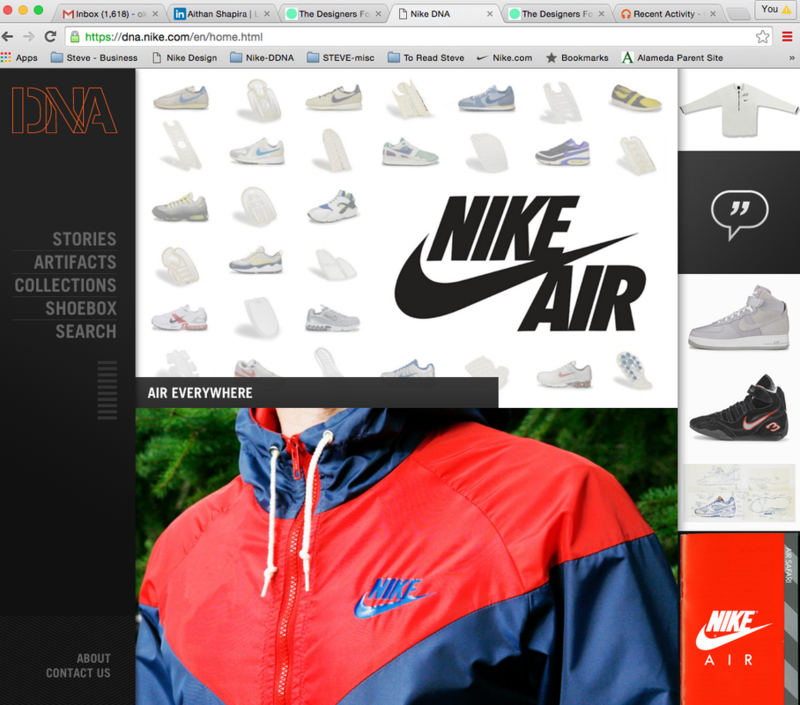 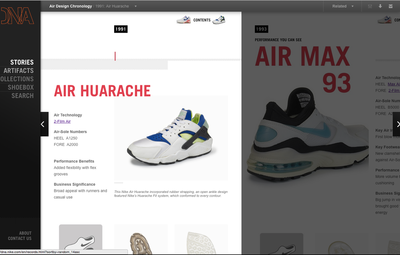 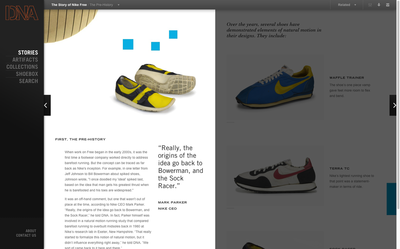 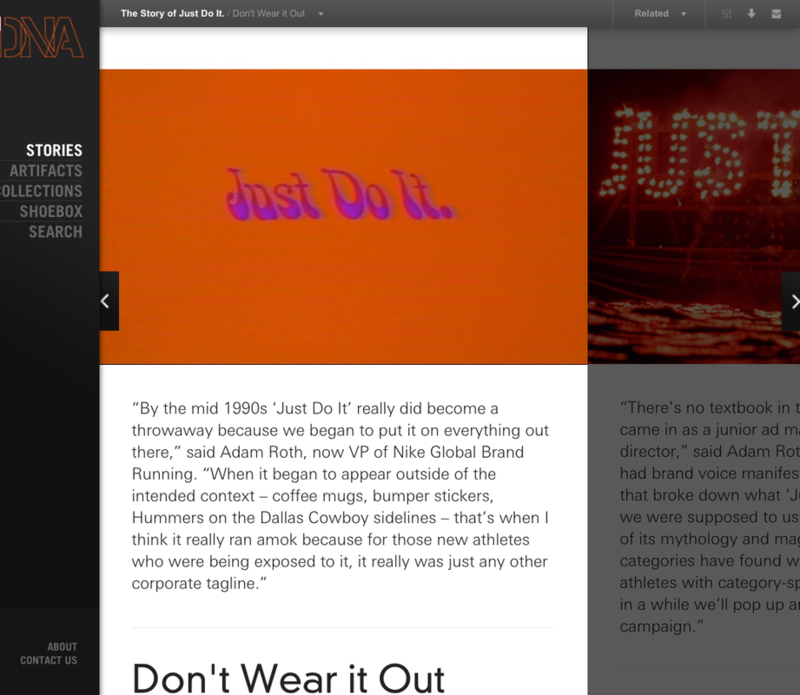 ﻿A DIGITAL ARCHIVE OF NIKE PRODUCTS, EVENTS, ATHLETES AND MILESTONES—AND THE STORIES BEHIND THEM—DESIGNED TO INFORM AND INSPIRE NIKE EMPLOYEES WORLDWIDE. 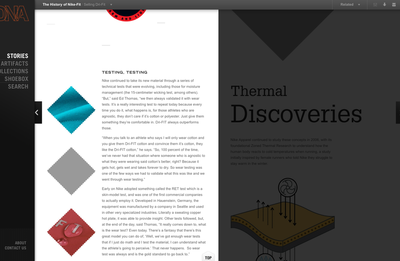 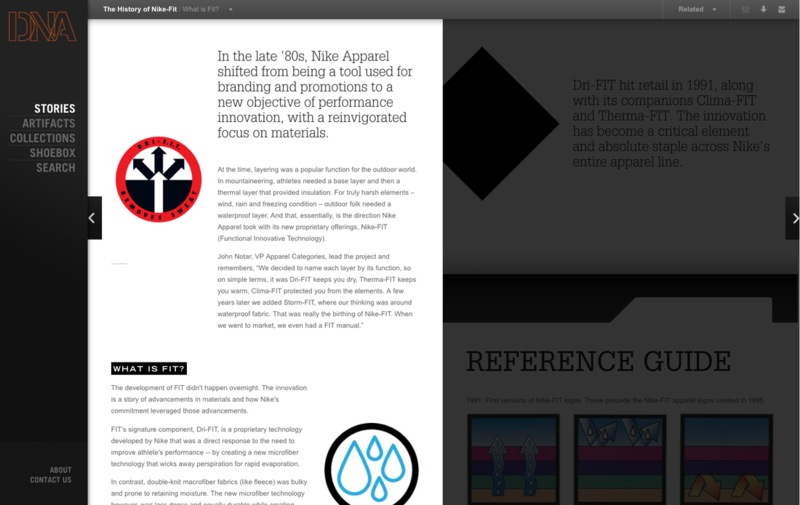 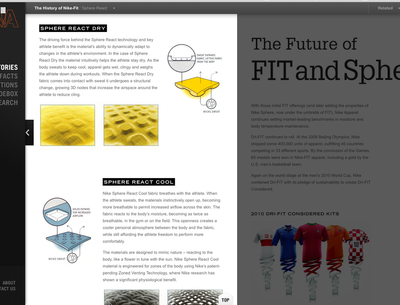 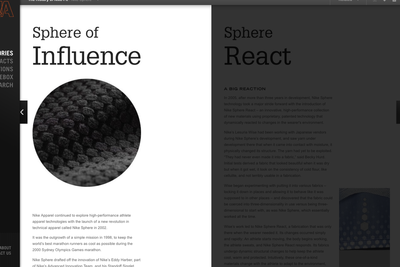 Recounting the creation process and evolution of the ubiquitous functional apparel. 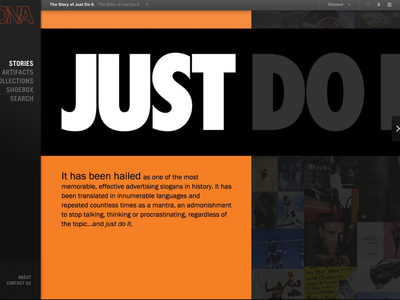 The story of one of the most infamous taglines of all time, with 25 year logo mark and story layout utilizing JDI assets in language. 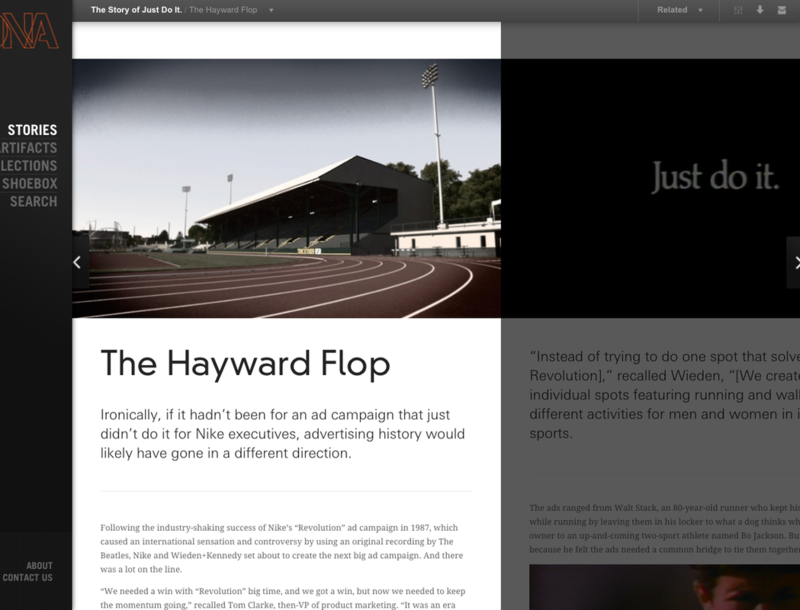 The story is told to keep his legend alive, and never forget this fallen hero and the impact he made on sport and Nike.